"Parolin Suite" in Marostica where art and fashion meet !!! Property 13: "Parolin Suite" in Marostica where art and fashion meet !!! Villa Barchessa: An elegant two-story apartment that is part of an historic villa surrounded by wonderful gardens, with Free WI-FI. 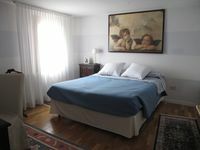 Property 23: Villa Barchessa: An elegant two-story apartment that is part of an historic villa surrounded by wonderful gardens, with Free WI-FI. We loved this cute place!!!! The owner is wonderful and will help you any way she can! The location is great! Walking distance to town...close to a grocery store....private! We would return in a heartbeat!